Fellow magicians and fans of magic, be sure to check out and head to York this Sunday 21st September 2014 as it’s the Magic:Unleashed conference. An affordable convention for both adults and children. 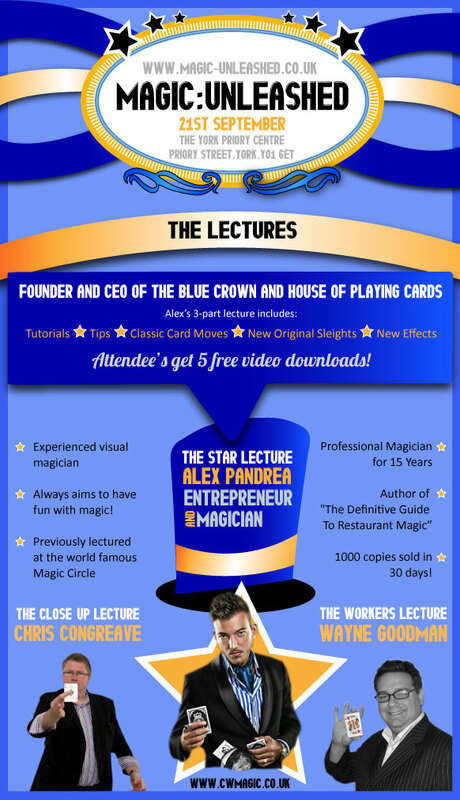 This year’s lecture series will feature 3 popular and experienced magicians – Alex Pandrea, Chris Congreave and Wayne Goodman will all be taking to the stage to give their tips and insights to audience members. Be sure to catch these lectures at the York Priory Centre on Sunday 21st September. For more information head over to www.magic-unleashed.co.uk.